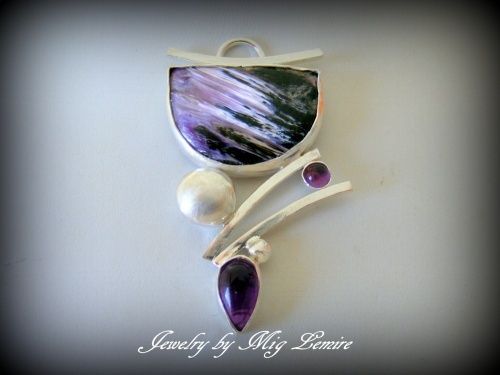 This very different Amethyst pendant has been completely handmade by me with sterling silver and fine silver. Larger stone is Russian Charoite and the two other stones are Amethyst. Piece measures 2" from top to bottom and 1 1/8" at its widest part. Comes with a sterling silver snake chain.